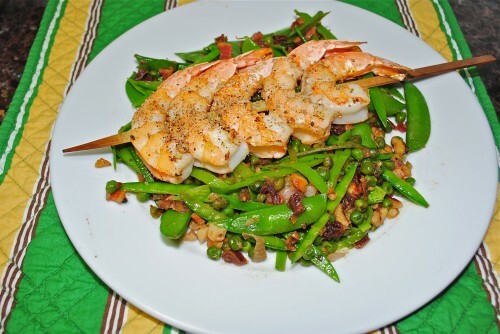 Just love those little sugar snap peas! Are you old enough to remember your mother or grandmother sitting in a chair with an apron cupped in her lap and a bowl of peas. I remember my dad’s mother doing just that and she was in a rocking chair rocking away the afternoon shelling peas that she was probably going to be cooking for dinner that night. My mother shelled peas and so did my other grandmother. Do we have time for that now in our busy lives? Maybe we need to make the time and slip back to a more relaxed day where our mother’s and grandmother’s did such a simple task and how they probably benefitted mentally just to chill and think of the day’s activities. I actually did try to find English peas in the shell, but no luck. Now if I was still in France, I probably could find them in one of the local market places. I loved this recipe before I even had it on my dish. 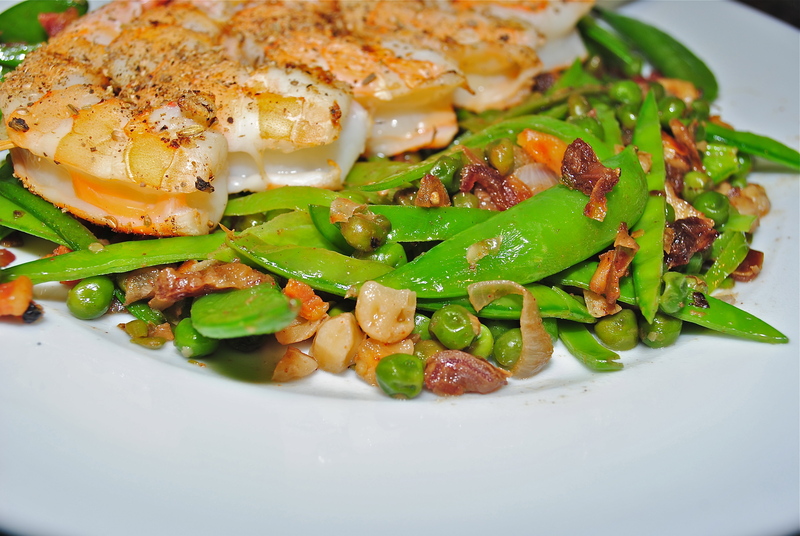 Sugar snap peas are one of my favorites with a good dill dip and snow peas I have been using for years. I actually use to stuff each one for an appetizer — Honey Pecan Stuffed Snow Peas. 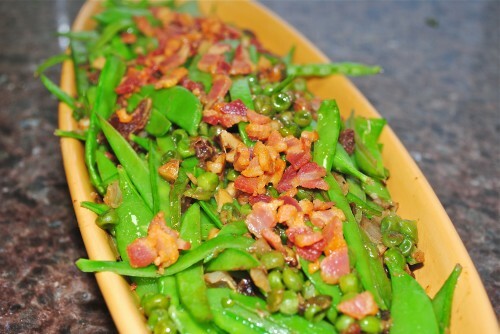 My kids were never a fan of English peas when they were young, but I’m sure they would like this dish. 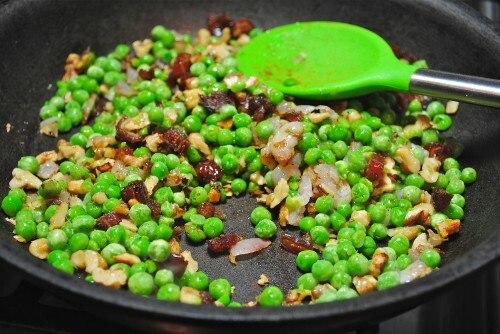 I plan on making this for my daughter-in-law in Chicago in a couple of weeks; she loves English peas. I found this recipe in Food Network magazine and all I added was the pancetta. And I would only make one change in the cooking directions and that would be to add thawed English peas at the end so they don’t overcook and become too dark. I would prefer them to stay bright green. 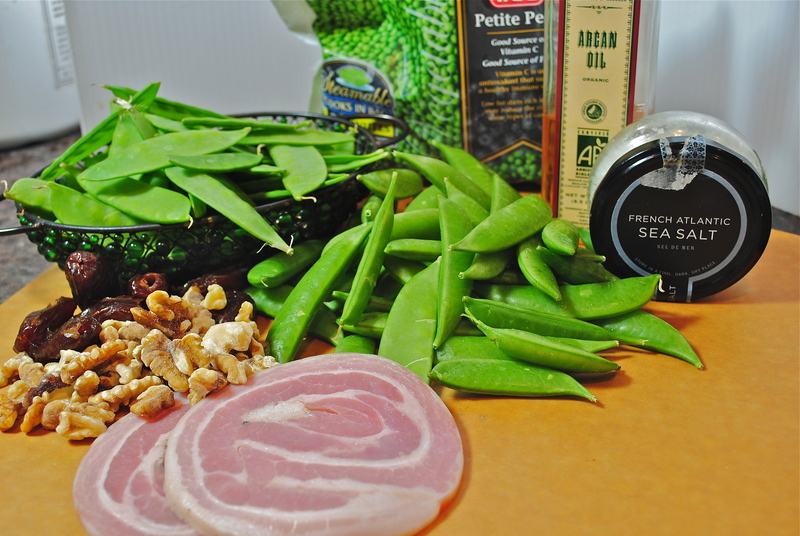 Bacon can be used in place of the pancetta and the walnut oil and shallot were MOA from this picture. 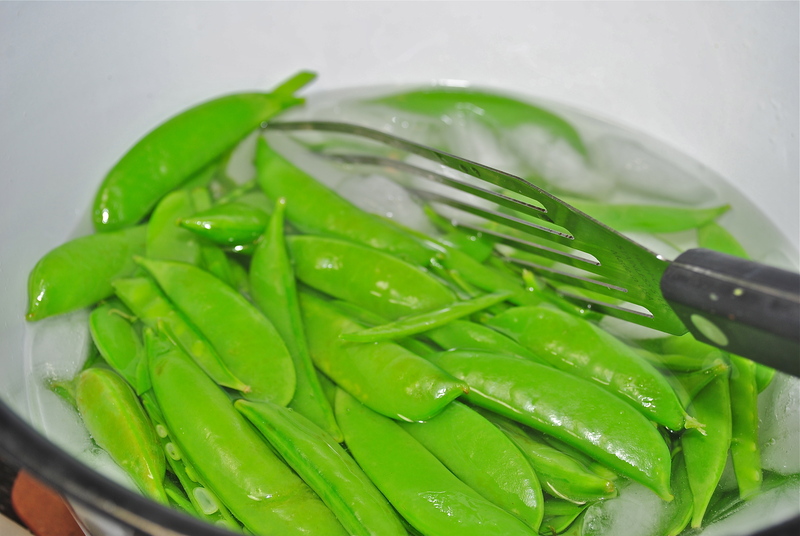 Snow peas are cut in slivers. Give them a dip in a bowl of ice water and then drain. Next time I would wait and add the English peas at the end after the snow peas and sugar snap peas have been added. Mine cooked a little too much for my taste. Fry pancetta (or bacon) and set aside. Bring a pot of salted water to a boil. Fill a large bowl with ice water. If you are using fresh English peas, add to boiling water and cook about 1 minute if not using fresh English have them thawed and add at the end just long enough to warm. 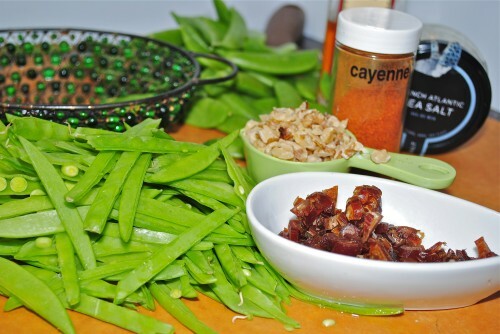 Add the snap peas to the water and cook until bright green, about 2 minutes, then add the snow peas and cook 20 seconds. Drain the peas and plunge into the ice water to cool. Heat the olive oil in skillet. 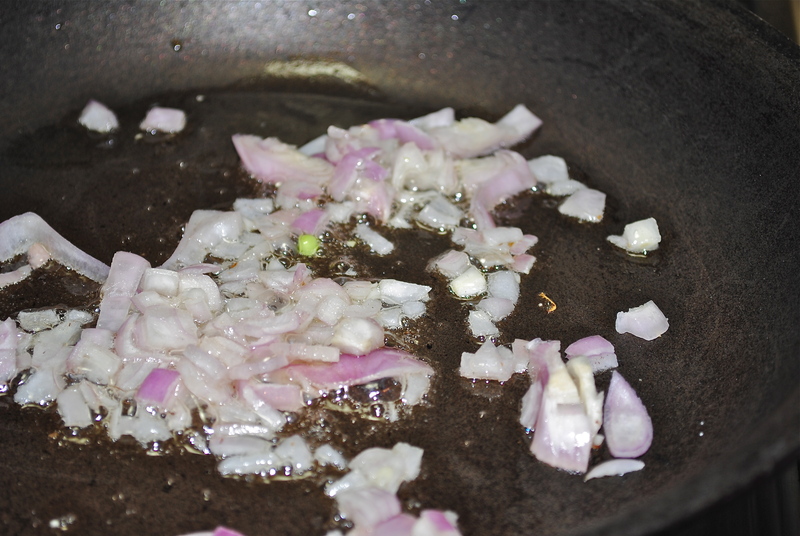 Add the shallot and cook until soft, about 2 minutes. Add in the walnuts, dates and cayenne and cook about 1 minute more. 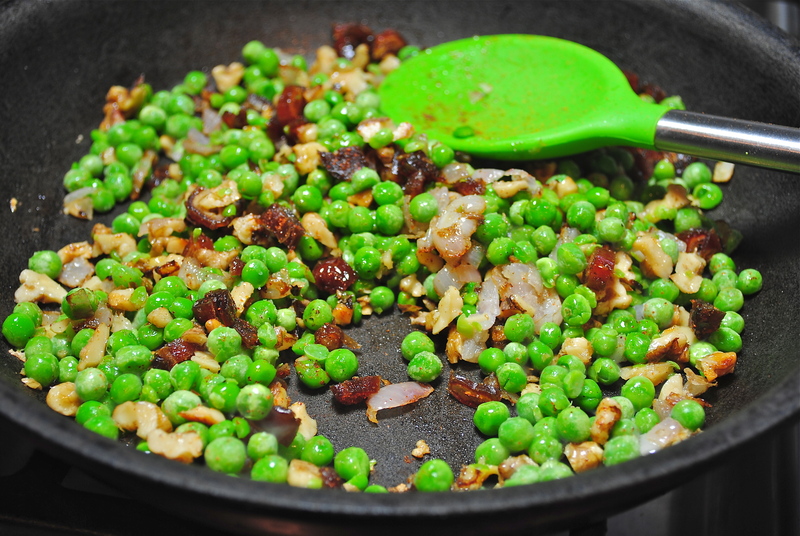 Drain the peas, shaking off the water, then add to the skillet, add thawed frozen peas now. Add 1/2 teaspoon salt and cook stirring until heated through, 3-5 minutes. Add the walnut oil and toss. Garnish with the fried pancetta or bacon. I had no rice to put my grilled shrimp skewers on so I decided to use the peas for a resting place.